Extreme Dungeon Makeover, Dyson Edition! 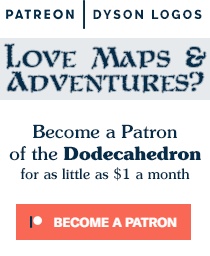 Last week I posted a call on Twitter and then on the RPGBA boards for people who like my maps to send me a map they would like to see Dysonized. I obviously over-estimated how much people like my maps, as I only got some sent my way after I threatened to start going through people’s blogs and Dysonizing their maps without their permission. Yeah, they love me. In the end the first map that I started working on is one that I almost find sacrilegious to remake in this fashion… Jensan over at Rustfoot designed a great dungeon for the 2011 One Page Dungeon competition in a style that I absolutely love – the map is made of words describing what is being mapped. 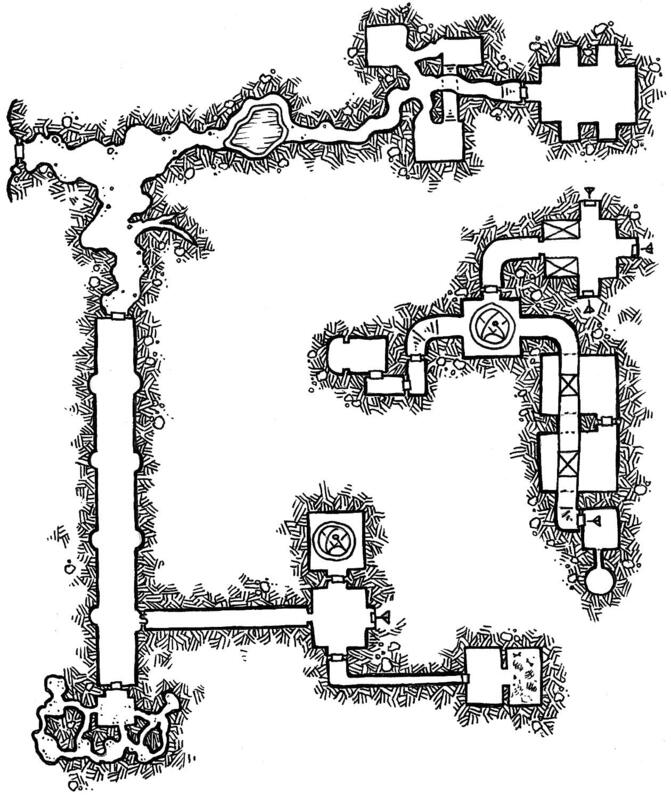 The upside of this is that I have a fair amount of freedom to translate that map into a more traditional dungeon map. And mostly unrelated, this is turning into some sort of Map Week – this is the fifth map post in a row! There's a Sword Down There, I Promise! Have you been asked to “Dysonize” any published (but out of print) maps? Such as the one on Holmes p. 42? I would happily scan and send it to you if you are interested in giving it the treatment but don’t have Holmes handy! I haven’t been asked to, no. But I have considered the Extreme Dungeon Makeover treatment for a few classics. I think I’d really like to take a hack at Keep on the Borderlands too. OMG, I’d REALLY like to see your take on the Keep and the Caves. Yes please! Really cool. I am deeply impressed by the speed and quality you draw! Your maps are always cool, Dyson. As a visualization junkie, I’m in love with Jensan’s map. Thanks for posting about it. I love your interpretation of it, good work! I do love how most of the dungeon is “extra”. If you know what you are doing (or are exceptionally lucky) you can wander in at night, turn right, dodge the pit trap, open the secret door, teleport, open three doors and get the sword. However unlikely that may be. I’d send you my maps, but I’ve started trying to copy your awesome style, so that gets less challenging and interesting for you. A second vote for Caves of Chaos! Third the Caves of Chaos. Also, send me an email. I’d like to use your talent for Silver Gryphon Games. Riceman raises a key point: do you do commission work? Jeez! I can’t draw to save my life.. I’ll be in touch!